Retirement savers with high incomes have options for saving but putting them into a Self-Directed Roth IRA is not one of them. 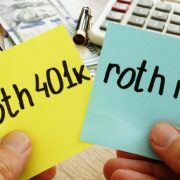 One of the critical differences between Traditional IRAs and Self-Directed Roth IRAs is income limits on contributions. 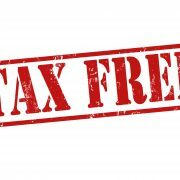 It is a shame because a Roth could provide tax-free growth and tax-free withdrawals in retirement. Converting some or all of the funds in a Traditional IRA into a Self-Directed Roth IRA is a viable option. Of course, the conversion would trigger a tax bill on the converted funds up front, but your money would be growing tax-free from that point on. And since you pay the tax today, your distributions will be tax-free when you retire. This option makes particularly good sense if you think you will be in a higher tax bracket when you withdraw the funds and retirement is down the road a few years. Talk to your employer to ensure that you meet one of your plan’s triggering events. Then, make sure that the amount you are taking is eligible for a rollover. Most distributions from retirement plans may be rolled over, but there are some that are ineligible. For instance, you may not roll over any required distributions you must take after reaching the age of 70 ½, and you will not be allowed to roll over any excess contributions you made. Remember that when you roll over pretax funds, they will be subject to income tax for the year in which you did the rollover. You could be paying a significant tax bill if you roll over a large balance all at once. You might want to think about moving the funds over multiple years. If your qualified plan has a Roth option, the tax consequences change. If there is a triggering event, you can roll these Roth assets into a Self-Directed Roth IRA. And because this transaction involves after-tax contributions, they are no income taxes due. What about a Backdoor Roth? Open a non-deductible Traditional IRA and make after-tax contributions. For 2018, you may contribute up to $5,500 ($6,500 if you’re age 50 or older). Then, transfer the assets from the Traditional IRA to a Self-Directed Roth IRA. You can make this transfer and conversion at any time in the future. Some advisors are warning that the Backdoor Roth might not last forever. Restrictions on them might come at some point, requiring converters to pay a penalty, or they could include a grandfather clause. But for now, it’s an option to consider. If you are a high-income earner, you should consider everything before using retirement plan rollovers and conversions to fund your Self-Directed Roth IRA. Discuss these strategies with your team of professionals. Give us a call when you’re ready to make a move. At American IRA, we believe that Self-Directed IRAs are the best vehicles for growing your retirement account. And we have the experience to help you with your transactions. Self-Directed Roth IRA or Solo 401(k)? Which should I Contribute To First?